Small gold filled beads, varying in size, shine along this 14k gold filled bead chain. 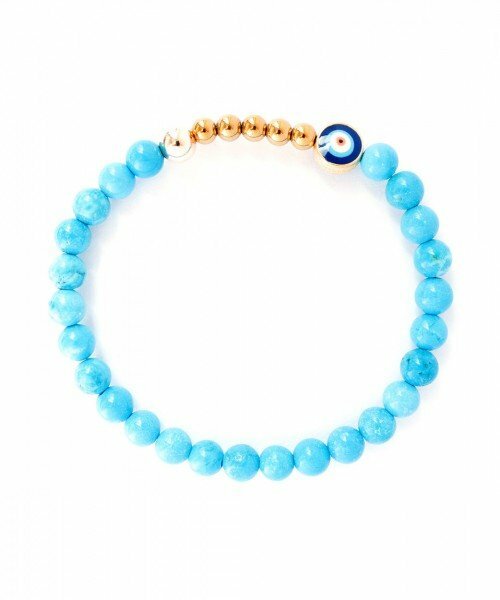 Dangling at the bottom is a faceted turquoise stone and an enamel evil eye charm. Shown on the model in the Pyrite version.